Once upon a time, in the history of marketing, it all started with gathering Customer information and storing it. The customer data either was updated by an account manager into the Customer Relationship Management tool (CRM), or used a lead generation tool to bring data into it. But, the marketer now wants to talk to other teams. She wants her customers to talk directly with the other teams in her organization. Marketers found a Data Management Platform (DMP) to store data and make it accessible to their entire organization. Data was only shelved in a DMP and the marketer’s intention to tie it to the campaigns and enrich cohorts still remained incomplete. This was because neither the CRM nor the DMP could identify who the customer really was. Moreover, DMPs were not managed by the marketer. They were controlled by the tech team. 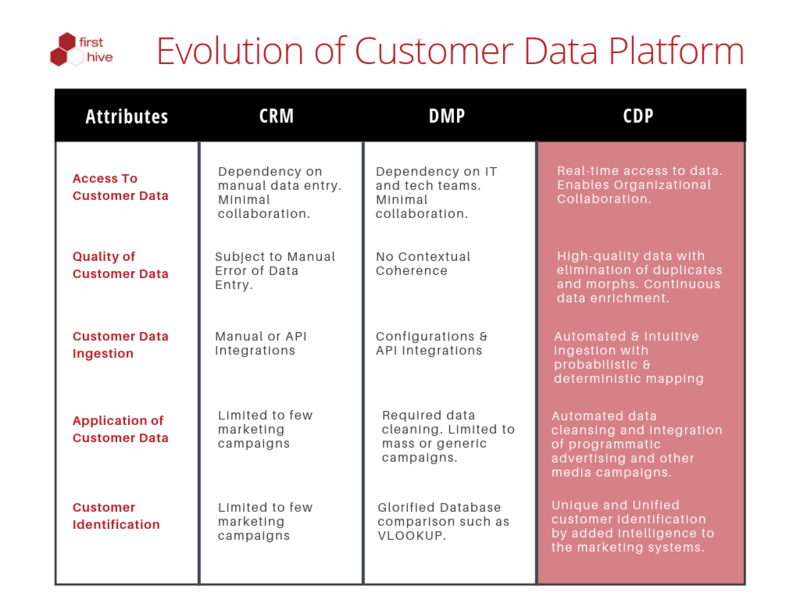 Then, came the Customer Data Platform (CDP). CDPs focus on customer data analytics that is used for better customer experience, whilst just being data aggregators. Why CRMs or DMPs are not Enough? During the evolving times of MarTech, CRMs and DMPs have come in handy to marketers. The potential of a marketer’s success was multiplied with technology that was customer-driven. However, there were gaps in what marketer intended to achieve and what could be achieved in reality. It still takes marketers too much time to analyze and draw conclusions about the success of a marketing campaign or a change to the customer experience—47% say it takes more than a week, while another 47% say it takes three to five days  . Here are some of the reasons why CRMs or DMPs are not enough for a Cognitive Marketer of this age. There is little coordination among internal teams, marketing channels, and different intelligent systems that drive an enterprise. The lack of integration across data hubs, people, and information system is creating cascading effects that cause error both in the raw data and prediction. The vicious gaps have led to fractured customer identities despite the availability of data across the enterprise. Datahubs were centralized and siloed to the extent that they were no longer accessible to the marketer. The increased duration of retrieving the information in-time to roll out relevant campaigns and implement personalization handicapped a marketer in realizing the full potential. This is where CRMs and DMPs were unable to support a marketer’s needs fully. A marketer needed more control over the data and information systems. A CDPs integration capability solves this problem for a marketer. Combined capabilities of DMPs, CRMs, and ERPs have helped the marketer customize customer experience, communication and marketing campaigns. However, that is not enough. Today, the consumer demands personal attention. And, that can be achieved only with Personalization. The mature marketers are relying on CDPs to not just personalize, but to go a step closer to individualize the entire brand-customer experience. A better ROI is something that every marketer strives for. CRMs and DMPs have provided a marginal increase to ROI. But, CDPs have been able to achieve huge returns at none or a nominal increase in cost. 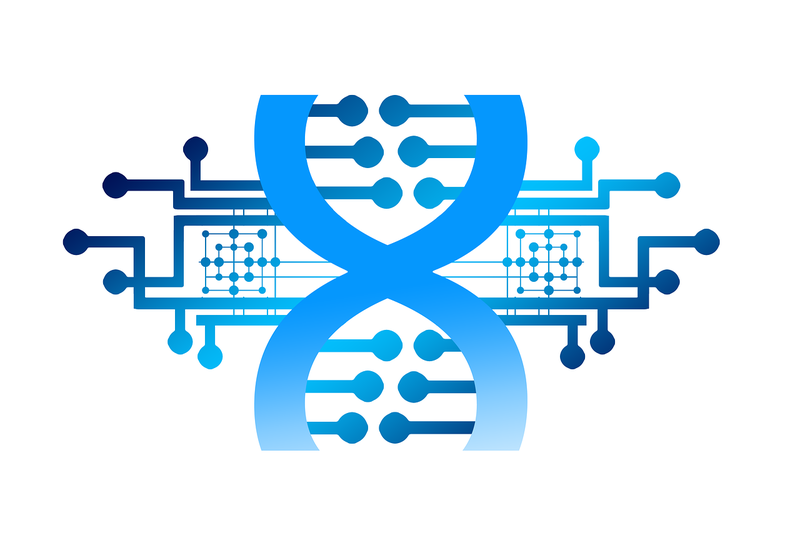 Over time, CDPs in themselves have evolved from being mere data assembly lines, or analytical tools. Now, the new-age CDP enriches the customer experience, adding value to the marketing ROI. This brings us to understand what are the different types of CDP available in the market. The next section of this series takes you through the variety of CDPs and which of these offers the most marketing ROI. Customer Data Platforms are now being central to the marketing technology ecosystem of any enterprise. They are being chosen to transform customer experience at every touchpoint. Learn more about how CDPs are being used in the article ‘Different Types of CDP’ .